Here’s a fact about me that not many people know: my father is British. Yep, with the accent and everything. He grew up in Radcliffe-on-Trent, a large village in the Rushcliffe borough of Nottinghamshire (my Nan still lives there, in the same house!). He left his family and his home and immigrated to America in his late twenties for the educational opportunity to study electrical engineering. As an engineer, he worked with computers and technology all day long – and he brought that home to his family. Dad and his three girls. Can you tell which one is me? Our house was never without a computer. And although we had limited screen time and a healthy balance of activities, my sisters and I were encouraged to use the machine for traditionally un-ladylike activities like chatting, programming, and gaming (I bet I can still capture the flag in the traditional PC Counter Strike game like a boss). Because of this, we each gained a comfort and skill level with technology that not all girls our age were lucky enough to acquire. We’re fast typists, intuitive tech learners, and have an all-around tech savviness that has helped us in so many ways. My oldest sister even earned multiple degrees in Information Systems and has worked for years for companies like IBM and Adobe. This isn’t a coincidence. I was lucky enough to have a support system that encouraged my curiosity, told me that I could do anything, and gave me the tools to learn. My mom was great with computers, built her own website, and sends me videos all the time on her iPad (seriously, her fiends are all jealous of her tech savviness). My dad never said, “You want to play video games? But you’re a girl.” They raised my sisters and I to believe that nothing was out of our reach. I was so fortunate to have this kind of influence in my life, and I recognize that not all girls are lucky in that same way. I want to be that kind of influence for our girls. And I want you to be, too. Makin’ dad proud – you can buy my “I CODE LIKE A GIRL” t-shirt for your favorite lady coder on Amazon. I don’t mean to leave boys in the dust here – they, of course, should be encouraged to work hard and go for their dreams, too. But statstics show that girls, despite an interest in tech and engineering, are getting lost along the way. According to GirlsWhoCode.com, “in middle school, 74% of girls express interest in Science, Technology, Engineering and Math (STEM), but when choosing a college major, just 0.4% of high school girls select computer science.” (GirlsWhoCode.com) And unfortunately, once they lose that interest, many females never get back on the path to a career that involves tech – the website goes on to state that “While 57% of bachelor’s degrees are earned by women, just 12% of computer science degrees are awarded to women.” The biggest problem with these statistics? The need for at least a basic knowledge of STEM and technology is no longer limited to just STEM related careers – now, these skills are necessary for jobs in agriculture, medicine, entertainment, design, retail… you name it. As we move towards becoming a more technology-focused society, these skills are no longer optional. Home Ec classes are being replaced with programming courses; schools are sacrificing cursive to teach keyboarding skills. You can’t opt out of learning to use technology – and girls need to speak that language, too. Why do girls lose interest in computers, technology, and STEM? A recent article by Business Insider titled These Are the 7 Things Keeping Women out of Science Careers lists teasing in school, a lack of encouragement, stereotypes, and bias as some of the top reasons (read more of that interesting article here). It’s my priority to make sure that stereotypes, lack of encouragement, and bias have no place in my classroom – but our girls need more than that. I don’t know about you, but I want my Leopards confident, capable, and ready to fill those jobs. This month, the Learning Leopard Library is hosting a Hack-A-Thon to get all of our students excited about computer programming and all of the doors that this STEM experience can open for them. Don’t be thrown by the negative connotation of the word “hack” – in our context, the term just means to learn, play, and explore software and programming using a computer. I’ll talk more about our Hack-a-Thon in an upcoming post, but today I want to share some additional resources to help girls feel at home in the unfamiliar world of technology and programming. All third and fourth grade students will learn the basics of coding (and for fourth grade, get a brief introduction to Scratch), and will leave for winter break with a list of resources to keep programming, coding, and creating at home. But if you have a girl that you think might need some extra encouragement, please help them to access the resources below. Digital resources can be reached on any device with internet access, and Other Resources provide opportunities for invaluable in-person support, encouragement, and peer relationship building. “Throw like a girl.” “Play like a girl.” These phrases used to be used as insults, to call someone weak, unskilled, or lacking effort. That definiton is changing, and we have the chance to be a part of it. To me, “Code like a girl” means overcoming obstacles and defying stereotypes. It means forgetting what’s expected of you and going for so much more. Together, we can create a world that emboldens young girls to reach for the stars. Girls Develop It – this international organization even has a local Central Virginia chapter! Have a boy that you’d like to encourage? Don’t worry, we have resources for that too! Code.org – a brilliant and beautifully designed resource including games, instructional videos, and everything your child could need to learn the basics while having a blast. This is what we use to introduce students to coding in the library. Google CS First – Google resources for computer programming and coding. If you’ve got a learner who really wants to go for it, get them started with Scratch. More difficult and involved than the Blockly coding from Code.org, Scratch let students get more involved and program with more freedom, developing skills as they work. Users can create their own games and share them, and then play other games created by students like them around the world! Stay tuned for updates on our 2015 Hack-a-Thon! You’ve probably noticed… I love all of these words. And the excitement! Capitalize those letters! All the exclamation points! Sign me up! I’m in! But there was one buzzword that surprised me. It started as a whisper, and has grown to a roar. If you’re a parent of a kid between the ages of 6-18, you’ve probably heard of Minecraft. You’ve probably listened to your child talk incessantly about Minecraft. And you’ve probably had to physically drag them away from the computer once or twice to separate them from the pixelated game, which seems to have mysterious addicting properties. So yes, Minecraft could be a topic of discussion between a group of students, or a group of parents. I could see it coming up in a teachers’ meeting or on a pop culture blog or two. But at a librarian conference? As the subject of multiple concurrent sessions? I decided to investigate. At its core, Minecraft is about placing and mining blocks. The game world consists of 3D objects—mainly cubes—that represent materials such as dirt, stone, various ores, water and tree trunks. Players gather these material blocks and use them to form various constructions. When the game begins, players must work quickly, with friends or by themselves, to build shelter to survive the night (when all the monsters of the world come out). Once they finish a day (20 minutes in real time), users repeat the cycle, building more complex shelters and stocking up on vital resources in order to survive. Other modes allow users to simply land in their designated digital space and collect and create to their hearts’ content, or to be assigned a specific task and gain freedom to other mods once they complete it. MinecraftEDU offers teacher controls and assignments, as well as a wealth of shared resources to help teachers link the game to SOL standards and classroom curriculum. Any Minecraft account offers limitless opportunities for users to create and explore. The sessions that I attended were packed – standing room only, filled with librarians furiously typing, Googling, and Tweeting about Minecraft as the presenter shared photos of her students happily zeroed-in on their laptops. She boasted of 100% student engagement, or feverish passion for projects centered on Ancient Rome, of students with chronic behavior issues now begging for extra library time. But like any new educational initiative, using Minecraft in the classroom has pros and cons. Pros? The kids are obsessed. From recreating historical Jamestown to experimenting with perimeter and area, the opportunities for educational application are limitless. Bringing a student favorite into our classrooms shows our kids that their passions matter, and that we want them to have a voice in their education. Game-based learning is a hot new topic on the educational scene, and it can have great effects on student achievement; especially for those that aren’t traditional learners (engaging non-traditional learners is a topic I’m very passionate about. Stop by sometime and I’ll chat your ear off). You know that students will be engaged and passionate about the things that they’re creating, and that just this once, they might actually ask to work on their schoolwork at home. *Note: I am unfortunately not dramatizing this comment. I take no personal responsibility for other school librarians and the mud that they seem to be stuck in. What are your thoughts? Should teachers and librarians attempt to keep up with pop culture and technology trends in order to excite and engage their students in the classroom? Or is Minecraft a passing trend that has no place in our library? How would you feel if a Minecraft station popped up in the Learning Leopard Library? Share your opinion via a comment, email, or contact me on my Facebook page. I want to hear from you! Prepare yourself: I’m about to share something shocking with you. Most librarians don’t like Book Fair. And I get it. The hours are long, the companies aren’t always gracious, and the workload is intense. Emotions are high, you count a thousand pennies a day, and it’s busy every single minute. Canyouhelpmecountmychange? Howmuchdoesthiscost? WhatdoyoumeanIdon’thavenenough? It’s not for the faint of heart. But these librarians are missing the point. When you get caught up in the dollar signs and the overtime and the sore feet, you forget about the part that really matters. The reason you make all of those phone calls and count all of those pennies in the first place. Book Fair Magic is when a third grade boy promises to mow the lawn and clean the toilet so that his mom will buy him just one more graphic novel. It’s when a first grader puts one of her beloved books back so that she has enough money left to buy one for her baby brother. It’s when a second grade student writes such a long and detailed Scholarship essay that he needs three pages to hold it all. 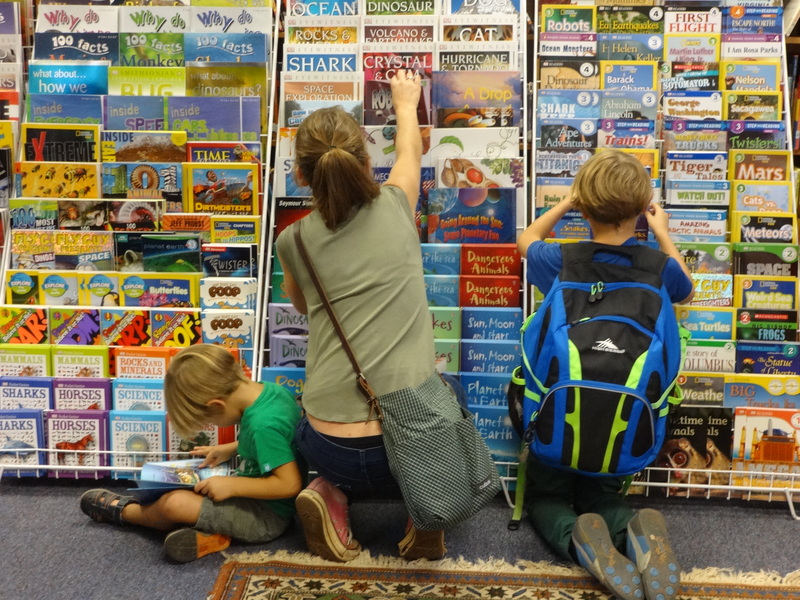 Families bring Book Fair Magic, too. 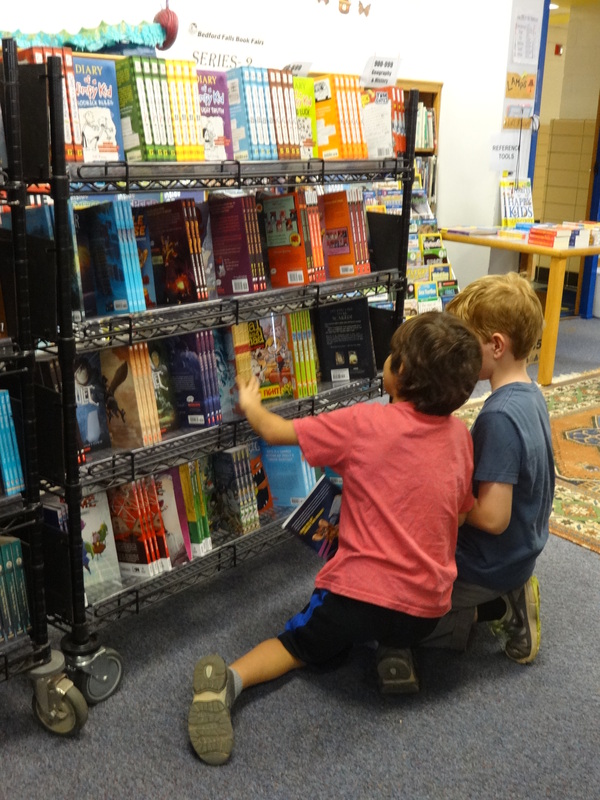 Book Fair Magic is when a pre-school parent buys a copy of his child’s favorite book for every student in her class. It’s when grandma says “Sorry, you can’t get that one,” and then sneaks back in after the child leaves to buy the whole series. It’s when a mom spends 25 minutes looking through every single graphic novel to find the one that will make her fifth grader want to stay up at night, sneaking more pages under the covers. 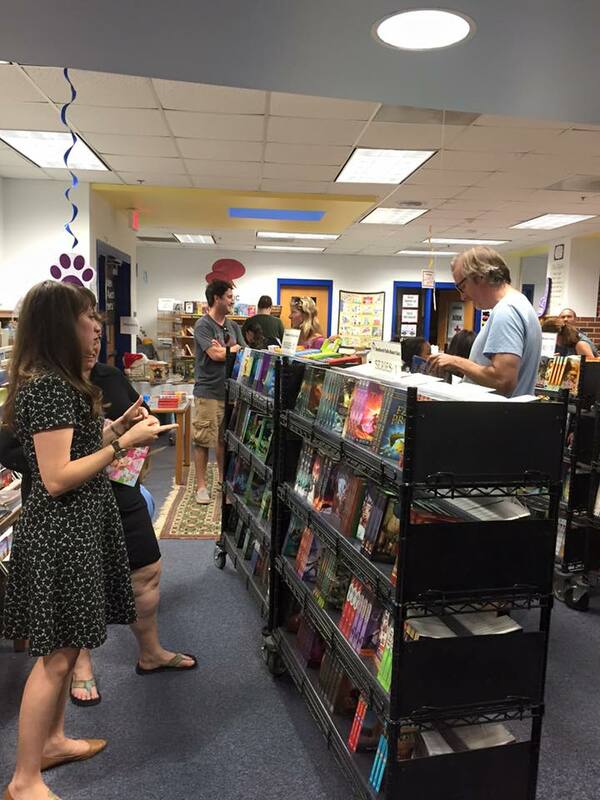 And of course, Johnson staff brings Book Fair Magic. Book Fair Magic is when a kindergarten teacher sponsors scholarships for students that she taught four years ago. It’s when a reading specialist spends her hard-earned paycheck to buy engaging and exciting new materials for her classroom to keep her students interested in reading – materials she could probably save a few bucks on if she just ordered them from Amazon. It’s when administrators vote for every single Book Fair Scholarship essay because they can’t possibly choose a favorite. Yes, Book Fair is time consuming. And it’s not easy. But it’s worth it. 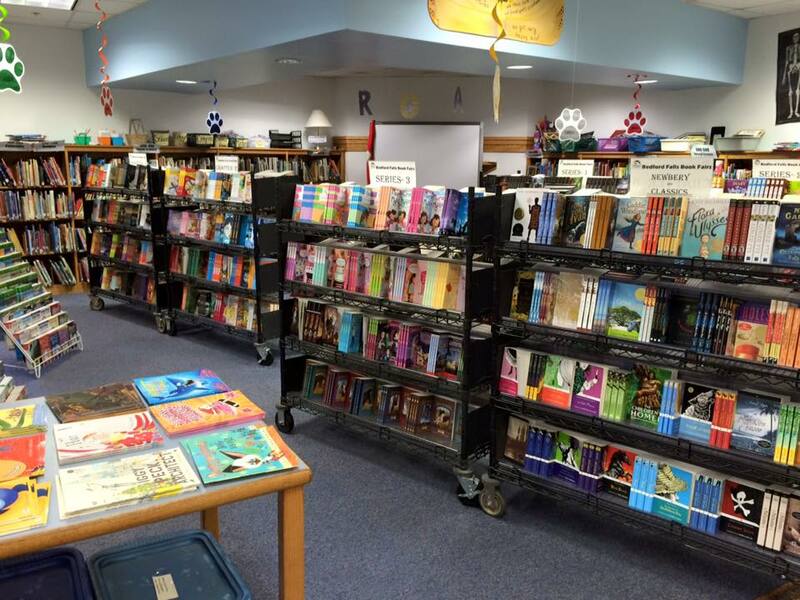 Our Fall Book Fair will be open through Monday, October 12th. 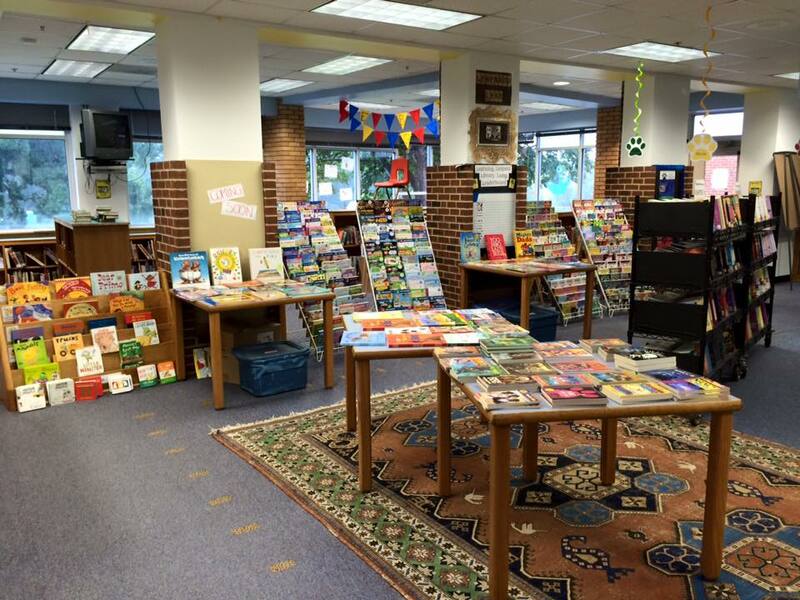 Buy new books, enter our Book Fair Raffle, donate to our Book Fair Scholarship Fund. Or just stop by to experience a little bit of magic. 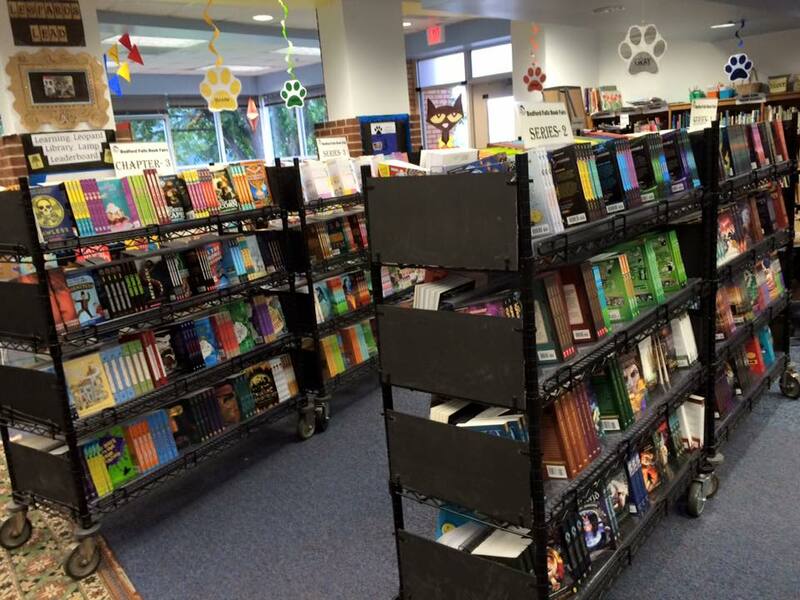 The 2015 Fall Book Fair has arrived! No, you haven’t lost track of time and skipped the months of October and November – don’t worry! 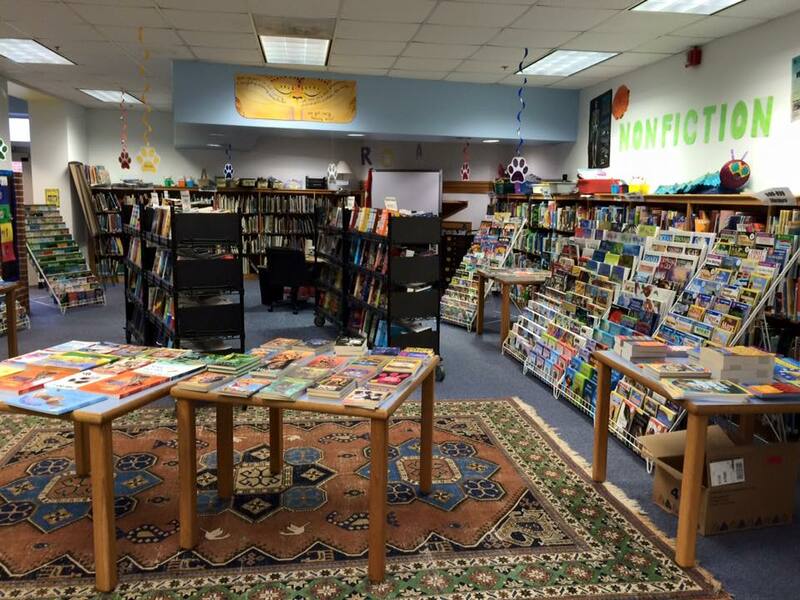 This year, Johnson’s first Book Fair is earlier than usual. And it’s not just the spot on the calendar that has changed – you might notice that our whole Book Fair is NEW and IMPROVED! Thanks to our friends at Bedford Falls, we have triple the selection of high quality, educational titles to choose from! From non-fiction to easy readers to award winners, there are hundreds and hundreds of titles to browse, buy, and take home to your family. We also have some special interest sections, including a military display, reference display, and origami display complete with special origami paper and activities! Also, don’t miss our $5.00 or less tables, which feature books priced as low as $2.95! Shop any time during school hours this week, with your student or even on your own for birthday or holiday gifts 😉 Or shop with your family this Wednesday, October 7th, at the PTO Fall Festival from 5:00-7:00 PM. Finally, make sure you stop by our Fall Book Fair Raffle. 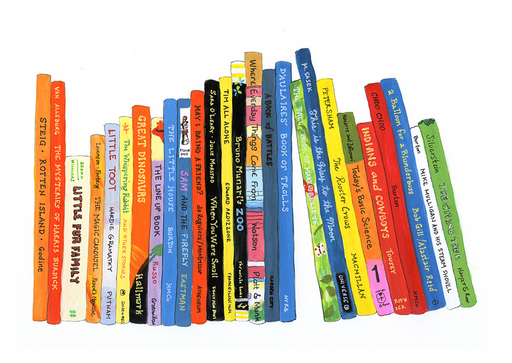 Bedford Falls donated more than TWENTY BOOKS for our raffle basket which means that if your ticket is drawn, you could win all of those titles plus a selection of toys and prizes AND a Books on Bikes tshirt. Tickets are $3.00 each or two for $5.00 and the winner will be drawn next Monday, October 12. Every penny raised from Book Fair Raffle sales goes towards funding Book Fair Scholarships for Johnson students! You can read more about Johnson’s Book Fair Scholarship program, now in its third year, here. If you’d like to help out, contact me any time at messhas1@charlottesvilleschools.org!